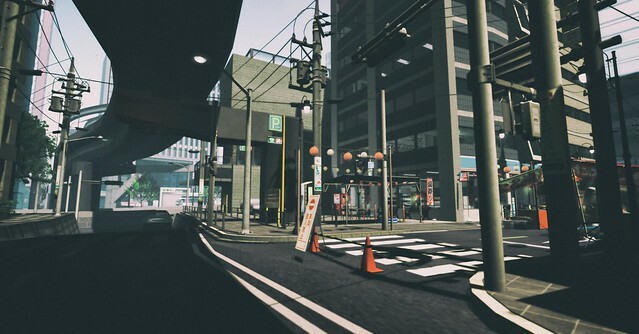 Click here to visit Mitsumi-Town, an intricately detailed Second Life sim painstakingly modeled after a Tokyo neighborhood. Lead developed by Eripom Moonwall, an SLer who actually lives in Japan and has built up a successful SL weapons business in her spare time as a Tokyo-based financial consultant. Working with two producers, four builders and one "advisor of traffic laws and infrastructures" (as she describes the role), Ms. Moonwall and her team took three months to make Mistumi-Town what it is today. And they're only 70% done, she tells me. "Our main business in SL is 'gun maker'," she says, "so we always research meticulously before we start building... In this case, a whole month we have researched and referenced a small town in Tokyo, walked around in real life Tokyo towns to take photos and shared them with my staff as base knowledge, and used Google Maps to get more details of city growth." "In the 1960's, a period of high economic growth, almost all Japanese in Tokyo had worked for building Tokyo Olympic Games facilities," as she puts it. "Trains, monorails, and highways were built first to resemble what a developed nation looks like. This took priority over all procedures. 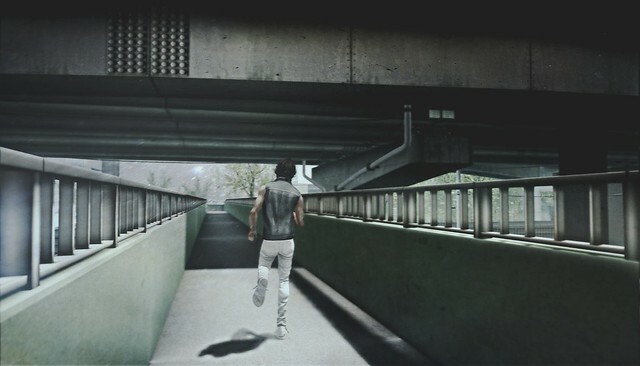 As a result, many citizens were forced to live beneath underpasses or near the highway, co-existent with transportation facilities." Since they also started with transportation infrastructure, she adds wryly, "we made unreasonable situations for ourselves." But ultimately "that made good details of our town I think." Visit it yourself and be sure to share images and experiences in Comments! Merci for the pic ! The sim is just fantastic.